Sarcoptic mange is a form of mange that is referred to as a highly contagious skin disease. It is so called because this type of mange is caused by the Sarcoptes scabiei mite. 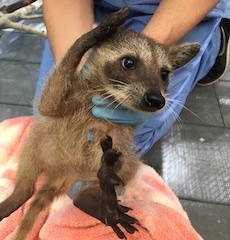 At CROW, a juvenile northern raccoon was admitted to the clinic after it was found in a supermarket parking lot in Fort Myers and suspected to have mange. 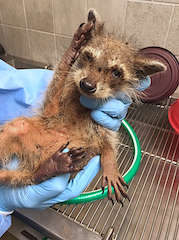 The parasitic infection caused the raccoon to experience matted fur, hair loss and bacterial skin infection. Mange can also leave the infected thin and dehydrated. CROW medical staff confirmed the raccoon was indeed suffering from severe sarcoptic mange by examining a skin scraping under a microscope that showed live Sarcoptes. The patient was definitely infected by the disease. 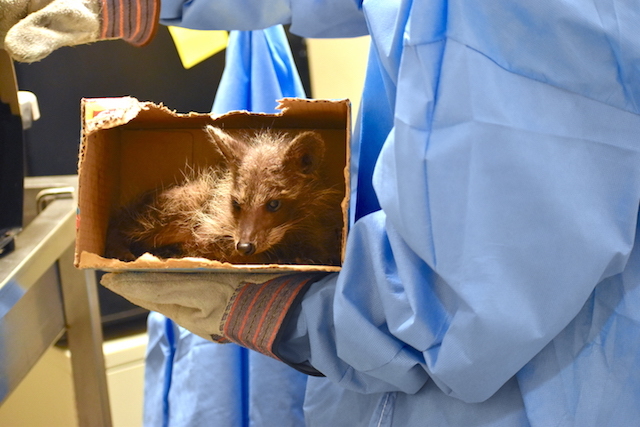 Since Sarcoptic mange is a zoonotic disease, meaning it can be spread from animals to humans, the raccoon was taken to a special, isolated quarantine room in the hospital to prevent the spread to other patients. 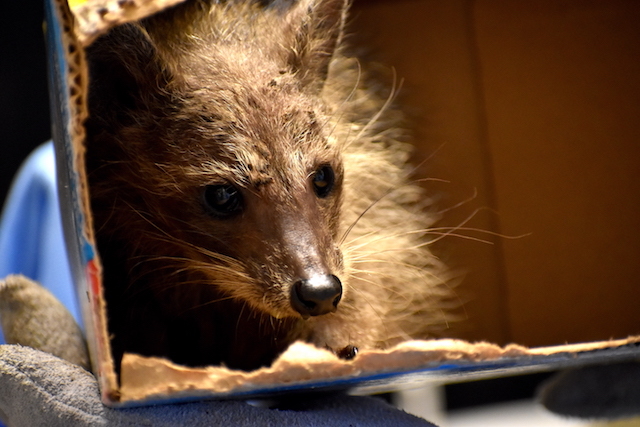 CROW medical staff used extra protection while providing the raccoon with antiparasitic and antibiotic medication to treat the mange, along with nutritional and supportive care. Now that the young raccoon has faced the main part of the medical procedure, it is more of a waiting game to see how it responds.